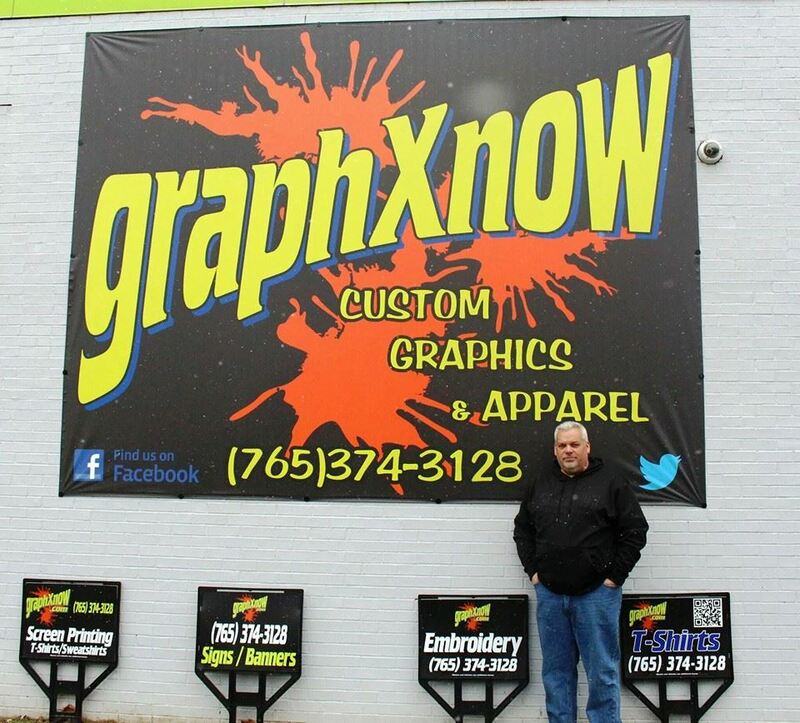 In the spring of 2007, Aaron Higgins (Owner), decided to venture into the ever changing graphics industry. Starting out humbly in a small home office only offering cut vinyl, Graphxnow quickly grew! In about 8 months from starting out we moved into a business incubator facility, then into our first stand alone store front, just one year later. While the demand from our customers kept growing to offer more and more products, again, just one year later, we purchased our current 4000 sq. ft. building. Now we offer all types of products to promote “YOU”. We take great pride in offering great products at a fair price! Our ultimate goal is to ensure that you, our customers/friends are 100% satisfied with our products and services. Today, as from the very beginning, we are a family and U.S. Air Force veteran owned business. Not sure why we wanted to do a photo shoot while it was snowing, but we did! Special thanks to Brian Fox for the great shots that day!